Railway Recruitment Board began the first stage Computer-based test for ALP and Technician recruitment on August 9. Railway Recruitment Board began the first stage Computer-based test for ALP and Technician recruitment on August 9. Before the beginning of the exam, RRB has released exam date and exam centre details for the candidates who had registered for the exam. Immediately after that several candidates took to social media to complain about distant exam centres being allotted to them . Politicians also wrote to Railway Ministry asking to change the exam centres of such candidates citing that not only was it impossible for many candidates to travel to such far off centres, it was also unfair to candidates with limited financial means. The uproar caused RRB to issue a clarification about its exam centre allotment process. Indian Railway also announced special trains for such candidates who had been allotted an exam centre in a different district or state. Despite the arrangement by the Railways, candidates who have to travel to far off locations for their exam are facing problems. 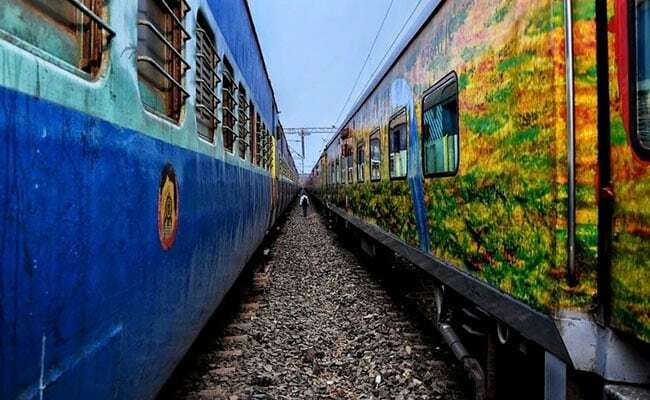 Several images have surfaced on social media shared by candidates where railway compartments could be seen cramped with candidates. It should be noted that RRB received 2.27 crore applications against 1.10 lakh vacancies notified by the Indian Railways.